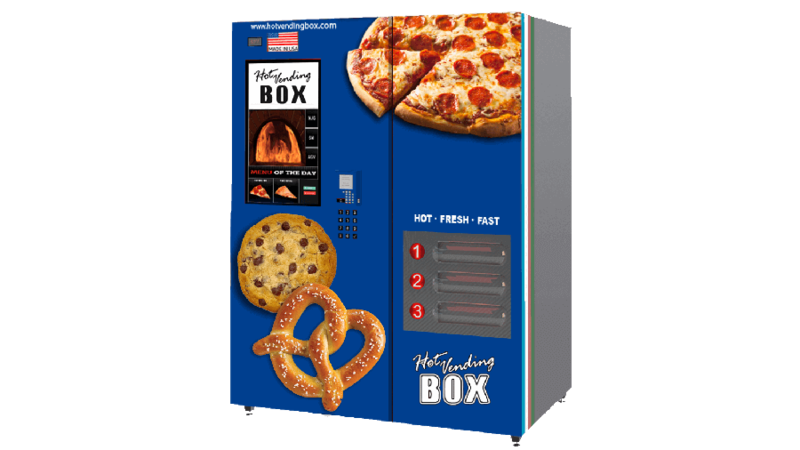 Pizza Vending Machine - Hot Vending Box | Pizzza Vending Machine that serves hot pizza, hot cookies, hot pretzels. The future of food is here. 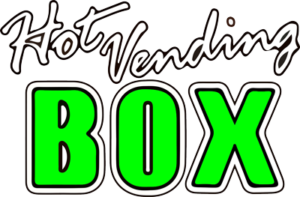 The Hot Vending Box is the perfect fusion of quality and convenience, bringing delicious food products to never before accessible locations. Your favorite craft brewery, your office breakroom, the auto service center while getting your oil changed…. This machine is going to change the game, and there’s never been a better time to get involved. 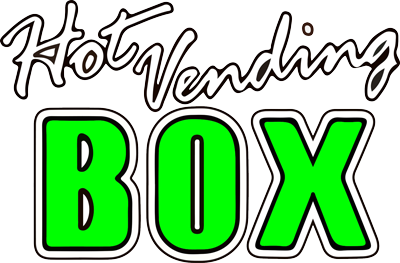 The Hot Vending Box serves delicious oven baked foods and treats to hungry customers, in super convenient locations. Breweries, malls, hospitals, schools – wherever your customer is, they can skip the bag of chips for something hot and fresh! The technology is simple: The machine is equipped with a custom refrigeration system that can store 72 pre baked products – pizza, pretzels, cookies, the list goes on. A customer places an order on the touchscreen, and the Hot Vending Box tosses the product into a custom oven that perfectly heats the order. The screen shows the customer the progress of their order, and where they will retrieve it when ready. The order comes out in a disposable to-go tray, and off they go! The Hot Vending Box uses a 32” touch screen to display the menu of the day, where nutritional information is available for each product. ZERO cost for host locations, just awesome food.